Smithville Texas 2nd Colorado River Bridge. Ay, tear her iron girders down! And heard her shake and quiver. Will prove to be as rigid. 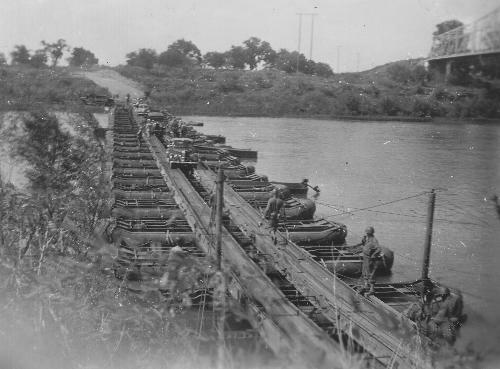 This March 16, 1915, bridge construction photograph exhibits the latest in bridge-building technique. 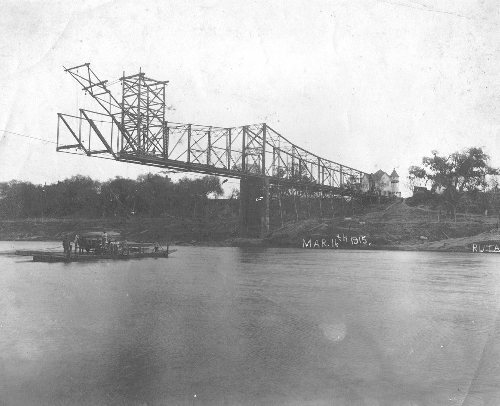 This replacement for the [first Colorado River Bridge c. 1900] destroyed in the 1913 flood carefully cantilevers across the Colorado River, spanning north from the town side. A similar segment of the bridge approaches from the opposite riverbank to ultimately link at mid-span. 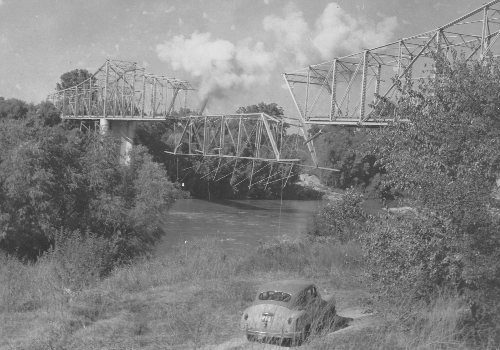 The damaged bridge is visible in the upper right hand corner.